What do the city of lights and the city of culture have in common? Their eat festivals. Though lahories are known for their great appetite and love of food, the Lahore Eat festival came to the city three years after it had already started in Karachi. “Our partners [Capra Khan Omari Events] contacted us [Latitude PR] to collaborate on the Lahore Eat 2016 event and I said wow, why didn’t we think of it ourselves,” Latitude PR’s Nusrat Jamil told Pakistan Today while talking about how the festival started in Lahore. Capra Khan Omari (CKO) Events are the event organisers for Karachi Eat. 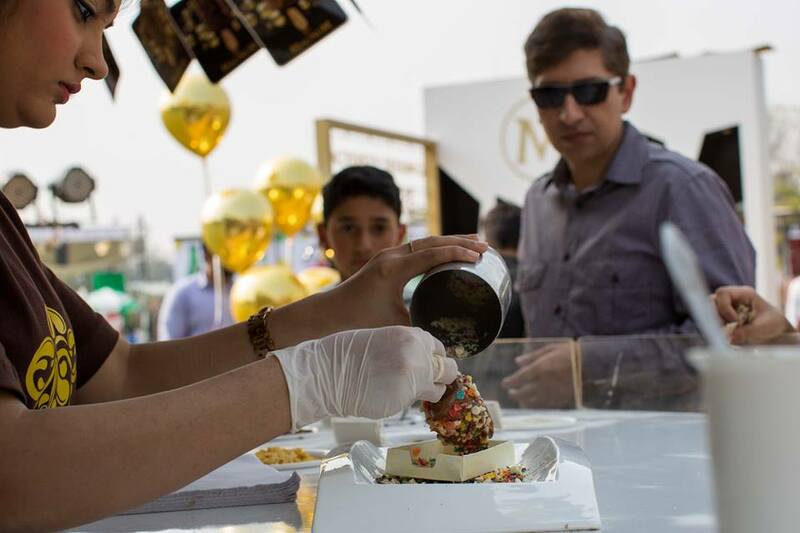 But at least Lahore got to experience the joy of food that the event brings to the city – under strict security and with constant cleanliness measures in place. With the social media abuzz about the festival, its success was a bygone conclusion, but as it turned out it was not a complete walk in the park. Lahore’s food enthusiasts flooded Jillani park on the first day of #LahoreEat2016 and that’s when all hell broke loose. While the management was ready for overcrowding, some mishaps did happen. Visitors claimed Lahore Eat’s Facebook page was not clear on the location, nor were there proper advertisements or banners near the venue to direct them and help them reach the location. “We walked for about 4 km to reach Gate 3. Others, who just parked their cars and stepped in, were lucky and they said the entry fee was Rs 200 and we were charged 250 on the gate,” said Aisha Hassan, an attendee. The traffic was totally out of control, she added. 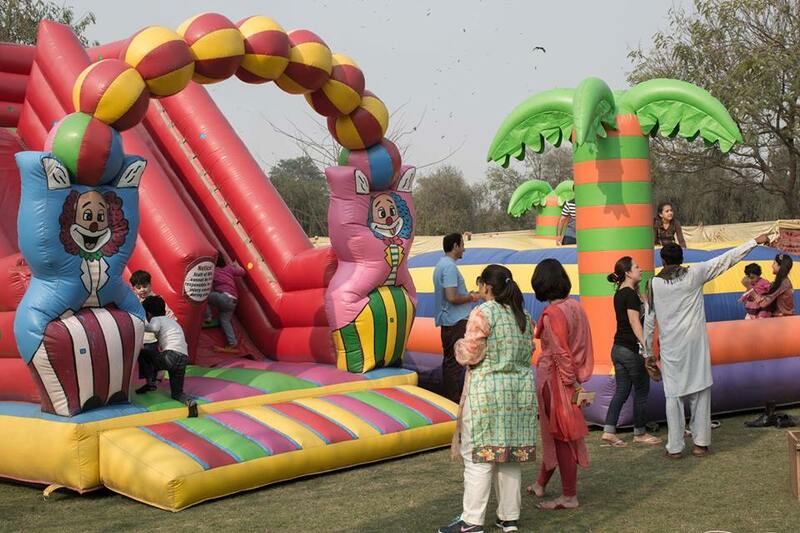 Jillani Park (formerly Race Course Park) had two major events happening simultaneously, the Lahore Spring Festival, happening at Gate 1 and Lahore Eat 2016 at Gate 3. 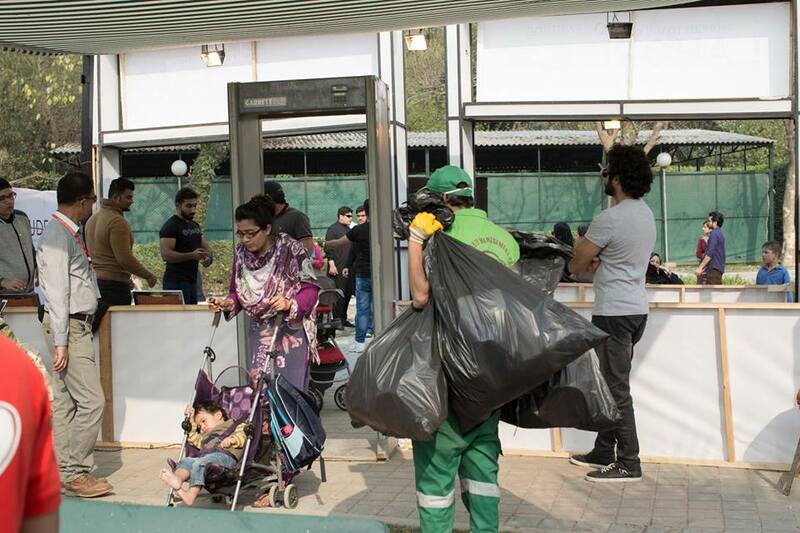 “We entered from the main gate and I thought wow no ticket, after looking around for a while my family and I realised this is the wrong event,” Aqeel Khuwaja, a banker, said. While the event could have been a disaster on this count alone, the management learnt from its mistakes. and updated all their pages and informed all their future visitors about the location in advance. The event was set inside an enclosed area within the park, besides the lake, where big letters made out of plywood read, Lahore Eat. The ticket counter was huge to cater to a heavy crowd. Within the enclosed space, there were more than 50 food stalls, a stage and a radio station stall. The stalls comprised fine dining restaurants, home based eateries, old school food outlets and plenty of dessert choices. “I hope to gain a clientele for my venture,” said the owner of a home-based catering operation, Dastarkhwan. There were a number of unique food stalls like Huns Organic, Roshni Association and Magnum, to name just a few. Along with the usual food, there were fried oreo’s, churros, magnum ice-cream bar, sushi, burgers as well as desi food on some of the stalls. All the choicest foods under one roof, as only an Eat festival can provide. “Every eatery we want to go to each weekend is here. So we are having tidbits of everything,” said Kashaf, an MBBS student. “I think the stalls here are great and are selling their items cheaper than they usually do,” said Basit and his friends at the event, as they dug into a verity of dishes at their table from the various stalls. Some complained of the tickets being high priced, it was a good place for families to enjoy their weekend. “The whole family time and the experience were amazing! Visited with friends on Friday and again on Sunday with my family,” said wedding photographer, Palwasha N Minhas. Due to security reasons, open activities like the Lahore Eat are rare in the country. But at the Jillani there was another event, the Lahore Spring Festival was also being held at the same time. “They have bouncy castles; they also have a hina stall. It did cost me a lot, but we hardly get open space fun for the kids nowadays,” said Mrs Khawer, parent of two. “Anything we do in the public space which a lot of people can enjoy is very important. I think this country is going through some really bad times, and things like these are a sign of life and normalcy,” famous author, Mohsin Hamid told Pakistan Today. With little to no entertainment left for people to enjoy in public, Nusrat Jamil said, organising such events isn’t an easy task, “It’s very hard to work here, so many departments to deal with and so many permissions to get, security, tax and excise and others. It isn’t easy for people without contacts,” she said. But Lahore Eat does not end here. CKO events want Pakistani food to go global, with an Islamabad Eat on its way, Cyra Anklesaria of CKO events told Pakistan Today, “We want to take Pakistani food international after we cover the major cities, we will have Pakistan Eat in Dubai and Istanbul. ” The combination of food and Pakistan can never go wrong.